Every supermarket you go to in Iceland right now is literally flooded with Easter eggs of all sizes. An Icelandic Easter egg has a few quirks that make it different to other chocolate eggs. 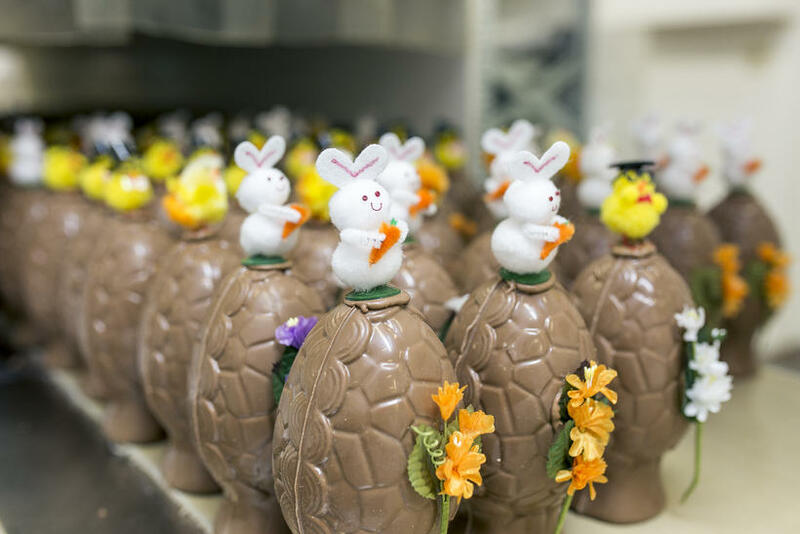 Easter eggs are traditionally given to children on Easter Sunday and often, parents hide the egg in either the home or the garden to provide an exhilerating easter egg hunt. Adults also often exchange Easter eggs. Here are a few things you need to know about the Icelandic Easter egg. 1. It's made from Icelandic chocolate. Icelandic chocolate is made with Icelandic milk of course, and is very sweet. 2. It has a yellow Easter chick perched on top. For obvious reasons, it's Easter after all. Newer variations offer a plastic Smurf on top, for more obscure reasons. 3. It contains a bag of Icelandic sweets. These include chocolate covered caramel balls, toffees, licorice, boiled sweets, jelly beans and chocolates with a filling. 4.It contains an Icelandic proverb! If you can't understand it, here's a useful link for translating Icelandic proverbs into English. 5. It comes in a variety sizes from a size 2 to a size 10, depending on the size and appetite of the individual you are offering it to. If you're not in Iceland and are craving for an Icelandic Easter egg we found this online shop HERE where you can actually order them.